Nurul Ali. 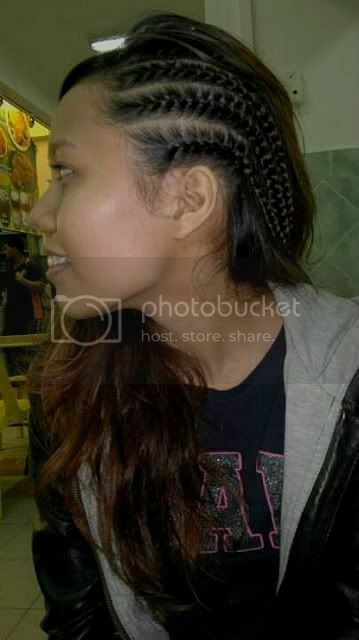 | Singapore Fashion & Lifestyle Blog: Braids braids braids. My hair is braided. I was planning to shave one side of my hair but it seems like I can't bear to do the undercut style, so side braids will do for now. Haa. @HerineYou mean do braids yourself? I can't do it too babe! I did it at a salon! hahaha. oooh!! hahaha i tot u did yourself! @ChloeCool! :) I'm all willing to shave one side of my hair now but idk how the parents would react. heh.